Although Hitman developer IO Interactive is now busy working on a new Hitman game (more news of which should be coming this year), the Danish studio has given reasons to cheer to those yet to try its latest game. This is because IO is now giving away the second mission of 2016’s Hitman game, plus the two training missions which serve as a tutorial for the full game. This mission is set in Sapienza, a sunny mediterranean Italian town which could be anyone’s idea of a dream vacation destination. However, the game’s protagonist Agent 47 is here for a different reason, as he’s on a mission two take out a criminal duo involved in the creation of a deadly virus. 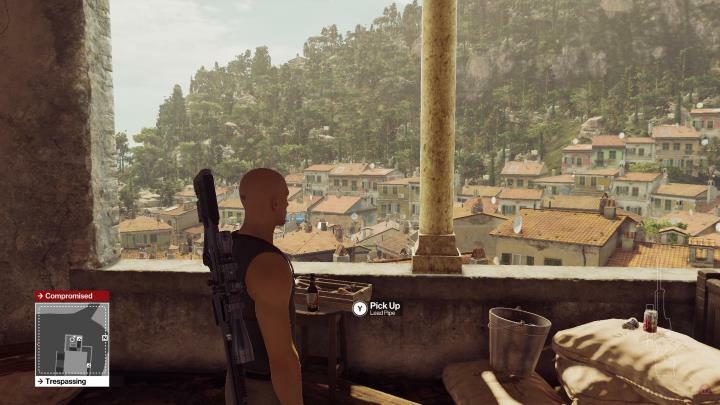 And as is usually the case in the Hitman franchise, you have multiple ways to go about your business in Sapienza. You can take out your hapless victims with a well-placed sniper rifle shot if that suits you fancy, or be more subtle and resort to poison to get the deed done. Of course, this being a Hitman game you can also be blunt and cut down your target in front of his bodyguards with a kitchen cleaver instead (you’ve better got a good escape plan in this case of course…). This Sapienza mission also requires you to infiltrate a secret laboratory and definitely has a James Bond vibe to it, making it arguably the best in the entire game. Aside from the main Sapienza mission and the training missions, there’s other content for you to enjoy in this free download (which IO Interactive is calling the “Hitman Spring Pack”) as the developer explains on its website. These include escalation contracts, which are multi-level missions in which you have to take out a target or series of targets with added complications in each level, two challenge packs which reward a unique weapon each upon completion, and the Elusive Targets. The Elusive Targets are assassination missions which are only available for a set period of time and which you only have one chance to complete (no retrying in case of failure). Getting hold of this free Hitman Spring Pack will let you play any future Elusive Target missions set in Hitman’s Sapienza location (this includes 2016’s Gary Busey mission, making this free download a pretty good deal in my book). 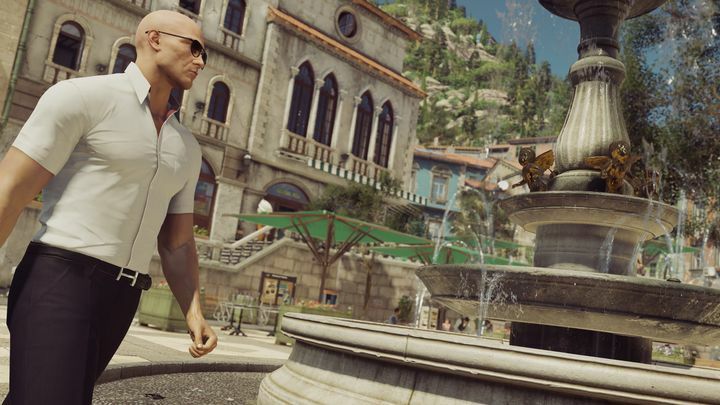 Agent 47 travels to sunny Italy in Hitman’s Sapienza mission. This is a quite a bit of content players are getting free of charge then, so as expected this is a time-limited offer which will only be available until April 3. But this is surely a good opportunity to dive into Hitman, as it’s arguably the best game in the franchise, and the recently released Game of the Year edition is well worth the purchase as we pointed out in our review. Of course, fans of the franchise know this Hitman game was originally released in episodic form, with six episodes coming out between March and November 2016. Many fans were not happy about the game being released in this manner though, something which likely led to poor sales of Hitman 2016 and developer IO Interactive’s divorce from Square Enix. Thankfully, though, IO is now an independent studio and is busy working on the next game in the series, which hopefully will live up to the series’ best when it’s released sometime in the future. For now though, players can get this free chunk of Hitman and enjoy one of the best action and stealth games released in the last couple of years at a more than fair price.